Daily Mail reports that burned bodies of nine people have been pulled from the wreckage of a Japanese highway tunnel after its roof fell onto moving vehicles and sparked a fire. Authorities confirmed the deaths but said rescue work had to be suspended while the roof was being reinforced to prevent more collapses. 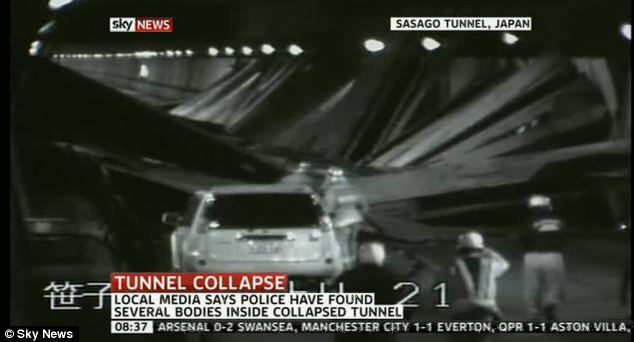 The concrete ceiling panels collapsed yesterday deep inside the three-mile long Sasago Tunnel, which is around 50 miles west of Tokyo.